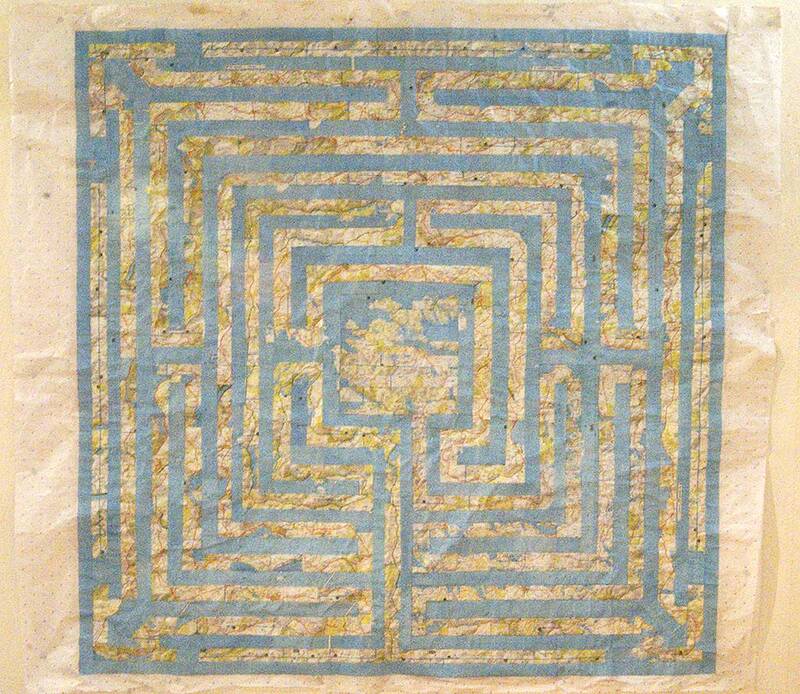 The Road to Tobermory – Scottish 7-Circuit Labyrinth, book pages on paper, H150 x W150 cm, Dorset 2013. Following a traditional labyrinth pattern, the Scottish pages of a road atlas have been reworked. The ‘walls’ of the labyrinth are made up of the sea, which surrounds Scotland. The ‘paths’ of the labyrinth are made up of a continuous thread of non-motorway roads, some green, some red, but an unbroken line from the start to the centre, or goal, which incidentally arrives at the remote island village of Tobemory.